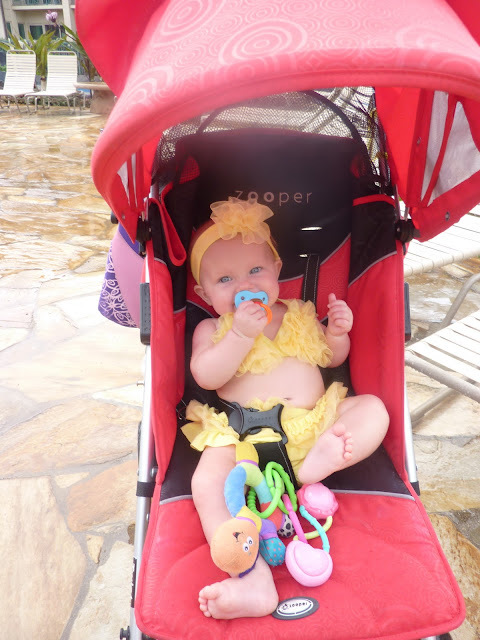 This little rockstar caused quite the stir in her itsy bitsy yellow rose bikini. Emmett was in heaven in the sand-bottom kiddie pool. He belly-flopped off the rocks and swam to his little heart's content. Every morning we couldn't miss the feeding of the Koi. The children loved it. We had a lot of overcast weather, but it was warm enough to swim. 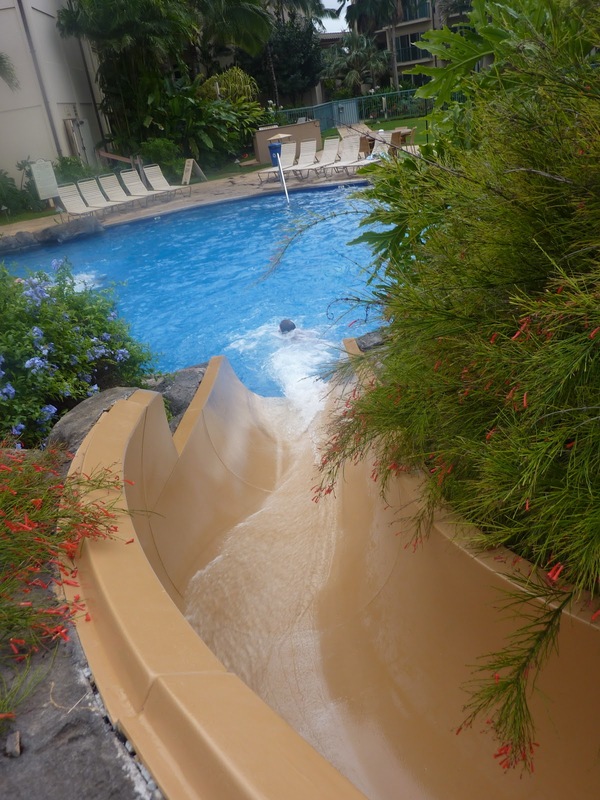 Certainly the waterslides were a huge hit. We went down hundreds of times. 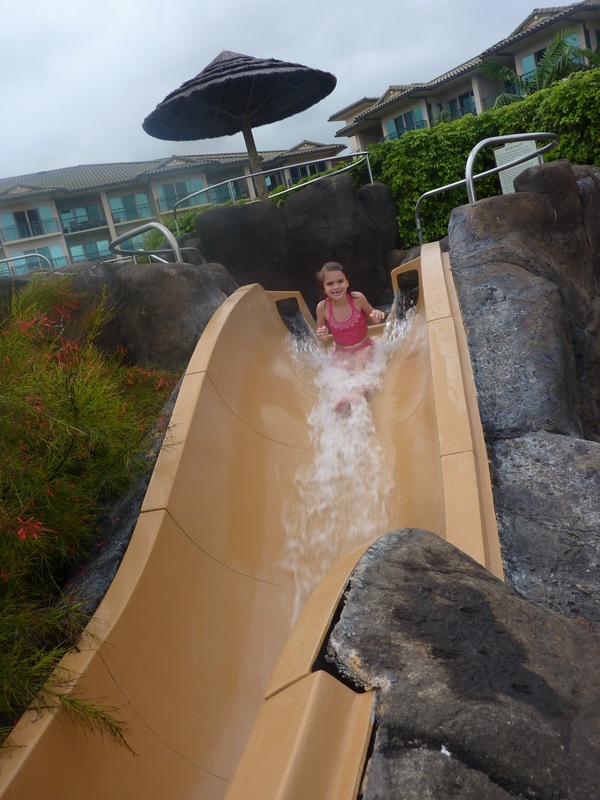 Often it was very difficult to pry the kids away from the pool to do some island exploring. I loved the "aloha" spirit on the island. We hardly bought anything. "Pattie" the so-named blow-up you see above, was given to us, along with tractors, sand toys, food, coolers...we passed along in return. We spent a good deal of time in the family hot-tub keeping warm when the clouds felt cool. This is the walkway along in the beach in front of the condos. I spent a lot of time wheeling Berks in the stroller to try and get her to nap. Did I mention Berkeley loved the water! I did have to be sure to keep a bow on her head with this swimming suit or else she was "So handsome!" It looks like such a fun place! I bet you're missing it. Berkeley's little bikini is SOO cute!